Mobile Caller Number Locator helps you to Search & Track Mobile Number, STD & ISD code without internet. 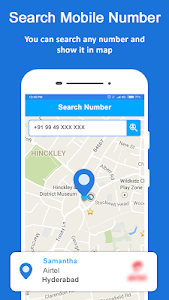 Searching any mobile number is very easy, Live Mobile Number Tracker will suggest location to choose the number & perform mobile number search. Are you getting calls from unknown number? Use Mobile Caller Number Locator App to find from which City, State / operator & Mobile number belongs to. Search mobile numbers in offline & Track Mobile Contacts, Tele callers, unknown callers with mobile tracking tool. Caller ID & Phone Tracker allows you to search and track any mobile number or fixed line phone number in the world. Mobile number locator will track the exact Geographic location. Mobile Number Lookup is Live Caller ID & Location tracker: See who is calling & identify unknown incoming calls via the caller id with name & location. 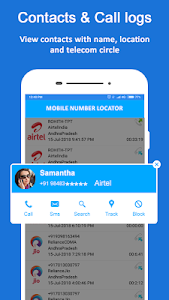 True Caller ID and Location Tracker: See who is calling & identify unknown incoming calls via the caller id with name and location (country, state, city & operator) on call screen. Track any Mobile phone number from overall INDIA, USA, CANADA, PAKISTAN. Search offline: You can track the mobile phone number, show caller id, mobile tracker, search STD code, ISD code without internet. 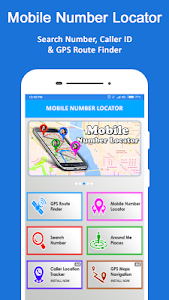 Mobile number locator is the only app that displays Caller Location of every caller on call screen. Best Mobile Tracker App. Phone Number Tracker will help you to track Mobile Numbers and land Line Numbers from all over the world. ✔ Track any Mobile number from all over the world & Location on Map. ✔ Block Calls from Unknown, unwanted mobile phone numbers & Callers. ✔ Shows Caller Location Tracker on call screen. ✔ Locate mobile phone number, operator, city & state. 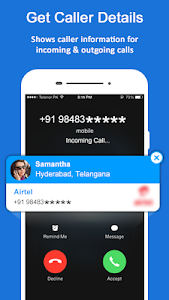 ✔ Best Caller Location Tracker app for your Android. ✔ Caller ID - Helps you identify who's calling before answering. 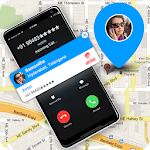 ✔ Best Caller Location app for your mobile phone. ✔ Track Caller Location with this app. Note: This app will not show the actual location / GPS location of the caller. All location information is at State / City level only. Similar to "Mobile Number Location"